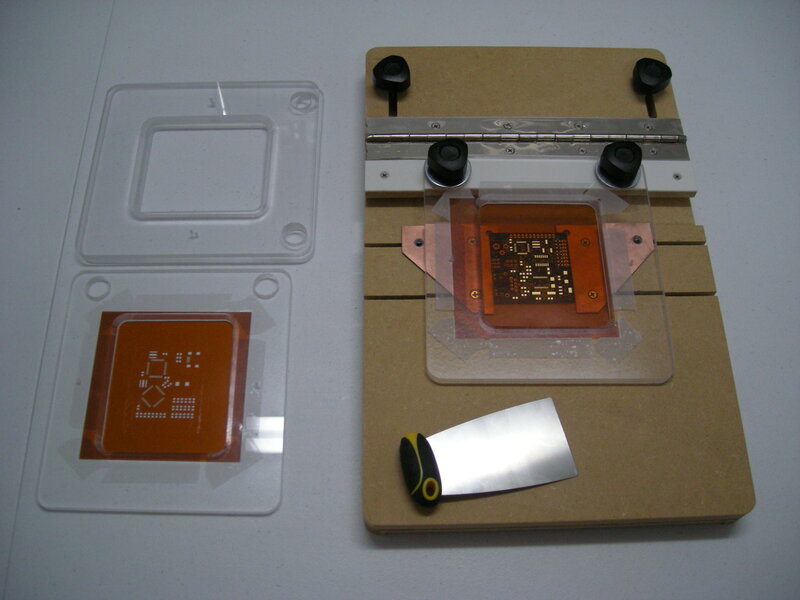 Recently, Alfredo Herrera has purchased several Kapton stencils for some of his projects. In doing so he has adapted a really good setup to repeatedly stencil some of his pcbs. On the 4/27/13 Show and Tell with Adafruit, Al was able to feature his stencil frame and sated he has used the stencil on 300+ pcbs! This beats my record of 100 or so boards with a single stencil. You can see a high quality image of his frame in the photo and video below. Thanks for sharing!